The RSPB has ended its involvement with the Peak District Bird of Prey Initiative, following the partnership project’s continued failure to improve the fortunes of raptors in the Dark Peak. The news comes on the same day that the Moorland Association blocked an official statement on raptor persecution in the Peak District National Park. Involving five land management and conservation organisations, the Peak District Bird of Prey Initiative was set up in 2011 in a bid to boost bird of prey populations in the Dark Peak, the northern part of the Peak District. In response to low numbers, poor breeding success and illegal persecution of birds of prey, the initiative set five-year targets for healthy sustainable breeding populations of three species- merlin, peregrine and short-eared owl, and from 2016 expanded these targets to include hen harrier and goshawk. However, the Initiative failed to meet any of these targets and for some species the situation has continued to worsen. Last year, no peregrines successfully bred in the Dark Peak for the first time since 1984. Bird of prey persecution has cast a shadow over the Dark Peak for many years. The RSPB’s 2006 Peak Malpractice Report and the 2007 Update chronicled numerous confirmed incidents against birds of prey and charted serious declines of several raptor species such as goshawks, which pointed to sustained and widespread persecution in the area. Despite the paucity of birds of prey, illegal activity has continued in the Dark Peak since the formation of the Initiative. For example, in May 2015, a covert camera recorded four shots being fired at an active goshawk nest in the middle of the night in the Derwent Valley. In February 2016, footage was published which showed an armed man crouched close to a plastic hen harrier decoy on a grouse moor, thought to be positioned to lure in a female hen harrier that had been seen the previous day. Richard continued: “The failure of the Initiative’s voluntary approach by land managers, their representative bodies and statutory organisations to help birds of prey, exemplifies why the RSPB is calling for the introduction of a licensing system for driven grouse shooting. 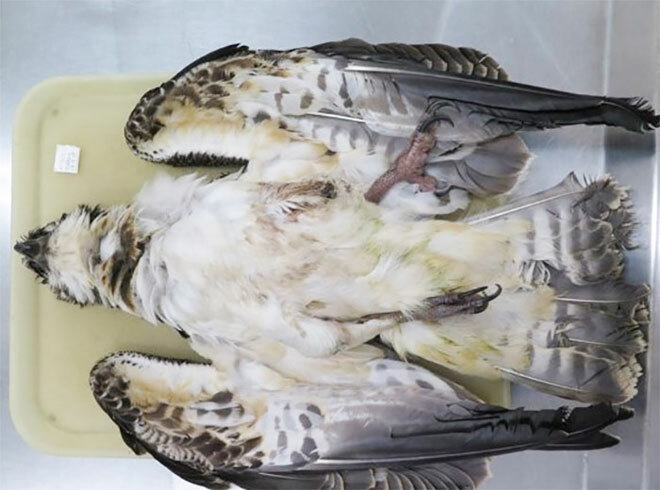 Proper regulation would help birds of prey to recover in areas like the Dark Peak and would drive up standards in an industry whose reputation has been severely tarnished in recent years.